Taxi! uses the narrative of immigrant labor organizing to provide a rich commentary on a range of issues - from immigration, gender, race and multiculturalism to the neo-liberal political economy and the imaginaries that fuel global cities like New York. 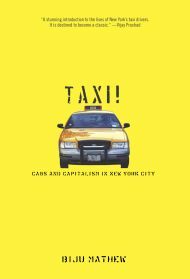 From the Publishers: Taxi! offers a fascinating glimpse into the lives of New York City’s taxi drivers from a lead organizer of the Taxi Workers Alliance. The yellow cab is a striking metaphor for New York City and its exuberant twenty-four-hours-a-day rush. But just as the city has changed in recent years, so too has the industry that keeps it on the move. As Biju Mathew reveals in this fast-paced survey of New York’s taxi business, just about everything has changed dramatically except the yellow paint. Biju Mathew is an Associate Professor in the College of Business Administration at Rider University in New Jersey. He is a member of the Organizing Committee of the New York Taxi Workers Alliance, co-founder of the Forum of Inquilabi Leftists and Youth Solidarity Summer, and a member of the Board of the Brecht Forum in NYC. He co-hosts a weekly radio show called "Global Movements, Urban Struggles" on WBAI 99.5 FM (NYC). He has written extensively, spoken and organized around issues such as communalism, immigration, labor issues, and against the war. He lives in New York City. The New Dreams of the Yellow Wheels. 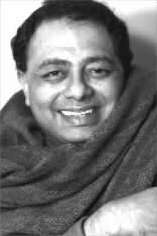 Biju Mathew, Ghadar Magazine, Nov 1998. The Politics of Self-Absorption. Biju Mathew, SAMAR Magazine, Issue 16. Methods of Disorganization: Where have the South Asians Gone?. Biju Mathew, SAMAR Magazine, Issue 17. Anarchy in the Ranks. Biju Mathew, SAMAR Magazine, Issue 18. Reading the NCERT Framework. Balamurli Natarajan, Rahul De and Biju Mathew, Gadhar Magazine, Feb 2002. The Saffron Dollar. Biju Mathew and Vijay Prashad. Himal Magazine, September 1996. Shift in the Global Anti-War Movement. Biju Mathew, Combat Law, Aug-Sep 2005. Alternatives for an Alternate Future (Speech at the World Tribunal on Iraq). Biju Mathew, June 2005.